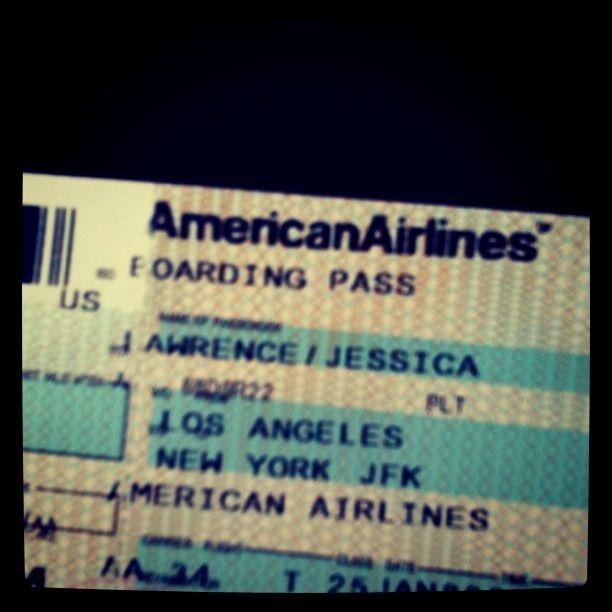 One-way from LA to New York. I could say that I arrived in the city with a couple of suitcases and a dream, but that wouldn’t be quite accurate. It was more like five suitcases (plus carry-ons) and not much of a dream at all. I didn’t arrive with a dream of changing the world. I didn’t arrive with a dream of building a business that would take off. I knew I wanted to live in New York, and that was about it. It seems a little bit strange in way, when I look back over my year, and realize that I didn’t plan any of it. I didn’t set any goals or benchmarks. I didn’t write down what I wanted to achieve and then work methodically towards accomplishing it. That may seem counter to the standard advice for getting things done, that writing things down and mapping out a plan creates better results then flying by the seat of your pants. And while I believe that to do lists and work plans may be great for project management and to add shape to goals once you decide that you want to do something, if you apply them to life in general, it often backfires. Those lists can create artificial fences and be so limiting that you miss all of the good stuff because you’re concentrating too hard on item number three on your life to do list. Living with no goals or expectations over the past year has led to an embarrassment of riches: a man that I love, a circle of friends and a community that inspires me, a job that I adore, a place to live that makes me happy every time I walk through the front door. And yet I’ve come across people who find it hard to believe that I’m not harboring a secret desire to do something huge, to launch a startup or build schools in Africa or have a high-level position at a famous company. It’s like there’s this expectation that most people are just biding their time doing something for now until they can finally do what they have always wanted to do. It’s also not that because I have no expectations, or that I’m living a life without vision. I have a vision for what the organization I lead can become over the next year – but it’s visceral first and to-do listy second. And I have a vision for what I think the most essential components of my life are: my relationships, work that is challenging and peaks my curiosity, and exploring things that make me feel alive (like cooking or bringing interesting groups of people together). That vision helps me be incredibly open and intuitively make choices without putting up unnecessary barriers. Living this year of no expectations has left me with a tremendous sense of gratitude. For the things that have happened. For how much I have learned. And for the amazing group of people who proved my point about having no expectations because any bar I could have set for them would have been a bar set too low. Thank you so much – I appreciate the wonderful comment. “And yet I’ve come across people who find it hard to believe that I’m not harboring a secret desire to do something huge, to launch a startup or build schools in Africa or have a high-level position at a famous company. It’s like there’s this expectation that most people are just biding their time doing something for now until they can finally do what they have always wanted to do. M E E I T H E R ! I salute you ! And I send you warmnesses! Funny isn’t it? A year ago I certainly didn’t “plan” to become a stay at home Mom, and yet this is the happiest I’ve ever been.